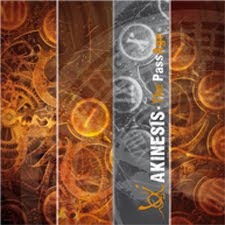 Akinesis is Italian duo Gabriele Caspiani and Nando Mambretti. They released their first album (Reflections) in 2005, and have now just released their second album - The Passage. The music is quite diverse. It's almost all pop with rock influences, but within that broad category there is plenty of variety, and that does make it hard to describe the album easily. "Second life" is the heaviest track on the album - definitely a rock track, and for me by far the standout track on the album. This is definitely a diffuclt album to describe. Most of the album is probably best classified as pop with a hint of rock. Whereas many rock bands include an album of rock songs with a single ballad thrown in, this feels like the reverse - an album of ballad-like tracks with the odd rock song thrown in to add variety.